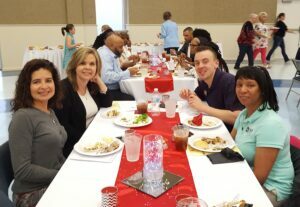 Recently, the Salvation Army had a Volunteer Appreciation dinner. United Southern Bank participates in the Kettle Bell ringing each year as well as other volunteer opportunities with our local Salvation Army. Several of our employees attended the dinner.